Die Cuts R Us is having a Bunny Hop to celebrate the Easter Weekend!!! Everyone is showcasing a creation made with products sold at the wonderful DCRU Store. All you have to do is sit back and enjoy the eye candy, comment on every blog and wait to see if you are a winner of one the prizes Claudia is offering up this weekend!! You will have 2 days - Saturday and Sunday to hop and comment!! I love this My Mind's Eye Quite Contrary Paper....My Mom just bought it and I got to use it!! Hannah this is brilliant! The paper and colors of your card is so sweet. I love the PJ animal lineup - what an adorable idea. You are so amazing! Wonderful job Hannah! Awesome job on this girl I love it and your coloring it totally rockin!!! I also love how you decorated the inside too!!!! 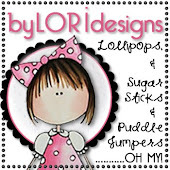 This is wonderful and I just adore this sweet puddle jumper your mom is an awesome stamp designer and she has an awesome DT for a daughter too!!!! 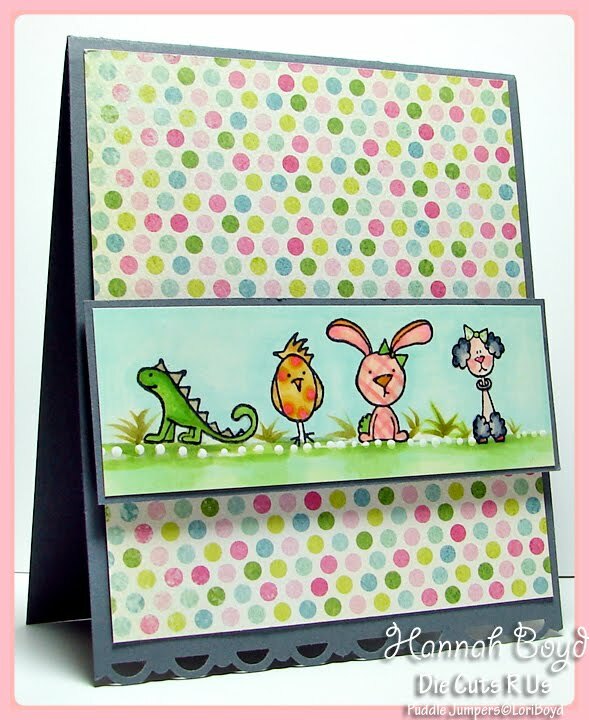 What a sweet, darling card, Hannah! The image is just too cute! Hannah Bug your cards are precious. I'm luvin' that little chick and your use of the pets on a card was really an outstanding idea. It shows off how fun they can be all by themselves and boy are they FUN!!! You did a marvelous job! Oh my goodness. Your cards are soo cute. I espeically like the animals one. Too cute!!! OK little girl you are giving Mom a run for her money with your creations. And such a nice job with all of your coloring. And the paper you used is just too cute. Thank You for taking time to create this card for us. Happy Easter! 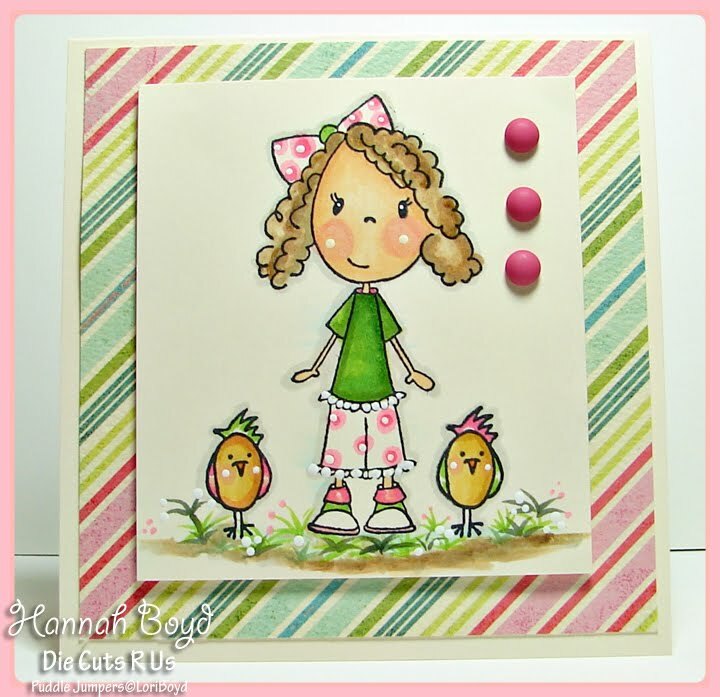 2 super cute creations - love the happy paper and your puddle jumpers. I love love love the card with the PJ animals! So sweet! I also love your favorite verse! Happy Easter! 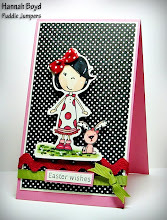 As I hop along the blog hop, I amazed at the talent!! 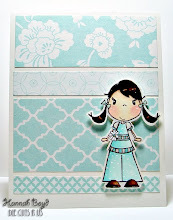 Love your card and your use of color!! Fabulous!! Hannah, your cards are so sweet!! Have a blessed Easter! you couldnt get anything cuter than all these puddle fwends..
What adorable creations. LOVE the polka dots. I'm going to have to try that. TFS! Wow. You are so talented! I love your coloring! Both cards are absolutely adorable! I love the paper! Great job and happy Easter! Great job hun! These cards are so bright and cheerful! The coloring is wonderful and I love the paper you used as well! Gorgeous cards! Love that you used the friends for their own card! Adorable! Happy Easter! So cute! love you cards! Happy Easter! These cards are wonderful. I especially love the card with the mini animals across the middle it is beautiful and the papers are fabulous. Cute cards you made! Are all the stamps from The Pink Elephant which you design for? I like the papers, the stamps you chose, the coloring, everything! Beautiful card Hannah. I love those little Puddle Jumper Friends. You look exactly like your mom. Have a great Easter. I'm hopping on. What a terrific card and stunning coloring! You are very, very talented and it's a joy to see your creations :) Happy Easter to you! Hannah your cards are fabulous! Oh what a great idea to use the PJ Friends and give them their own card!!! Happy Easter!! Hannah both of these cards are absolutely adorable and that DP is fantastic! I think I may have to get some of that, because I'm sure my girl's would love it just as much! Hi Hannah, you are one talented young lady! Wow, your card is amazing. I especially love your colouring, and your attention to detail such as the little white dots. This is such an adorable card! 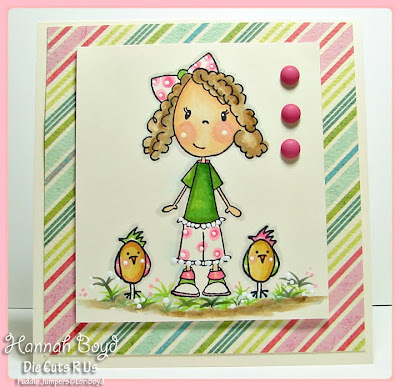 In fact, ALL of your cards are just amazing and your stamp coloring is FAB! Great work!